Are you travelling to the Eternal City? Look up this brief guide on how to reach Rome by using the major public and private means of transportation and how to get around. Leonardo da Vinci Airport (FCO) at Fiumicino city is near the coast, to the west of Rome city center. FCO is the major airport serving Rome. The other, Ciampino Airport CIA) is mostly low cost budget airlines, dominated by Ryanair and charters. Trains are the most convenient transport for central Rome, reachable in about 30 minutes. The Leonardo Express train is available every 30 minutes during daytime and stops at Stazione Termini (connections with A and B metro line). One way fare 14 euro. Tickets bought and printed on-line are already validated. Their validity lasts for 90 minutes from the departure time of the selected train. Tickets bought from the ticket desks at the stations, railway ticket desks, travel agencies, enabled ticket offices and self-service machines are valid for 90 minutes and must always be validated using the appropriate stamping machines before starting every journey. This service is guaranteed also in the event of a strike. Schedule is from 6 am to 23 pm approximately every day. The updated schedule is available on Trenitalia web site. Regular metropolitan train service leaves Fiumicino airport and stops at the minor stations of Rome (e.g., Ostiense, Tuscolana and Tiburtina) and the estimated time is 30-60 minutes with a 20 minutes frequency. Both the trains leave at near platforms so better you double check the right one at the air terminal. Taxis, Car Rentals and Private car services are also available. The most convenient service from/to Rome and the Airport is offered by private bus lines. Terravision coaches provide frequent connections from Ciampino Airport and Via Marsala 29, next to Stazione Termini (connections with A and B metro line). One way fare 4 euro. Journay time around 40 minutes. SITBusShuttle coaches are an alternative option. Taxis operate just outside the air terminal. Stazione Termini, Stazione Tiburtina and Stazione Ostiense central railway stations are the point of arrival and departure for almost all trains from Italy and abroad. The majority of public buses leave from Termini to the different areas of the city and the two existing underground lines have their changing terminal there. Tiburtina and Ostiense are connected with B line. Trenitalia Eurostar and Italo trains are the fastest to reach Rome departing from Milan, Florence, Venice, Turin, Naples and Bologna. Car Rental service is available at Stazione Termini. 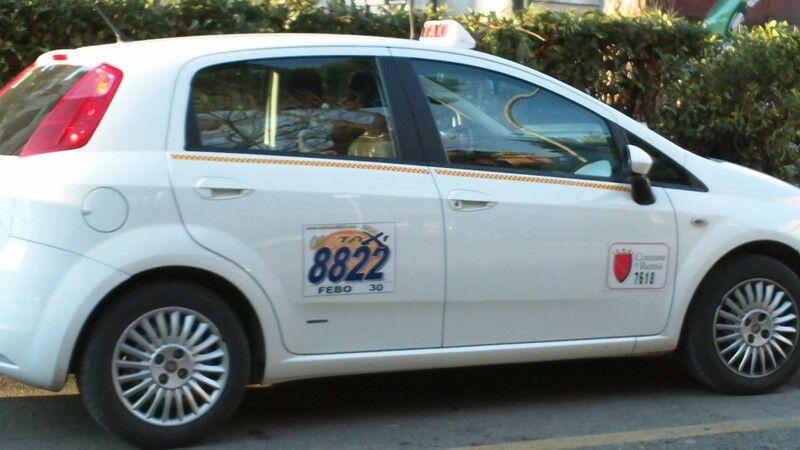 Taxi stand is in front of the main entrance to the station in Piazza dei Cinquecento. Bus links from/to Italian and foreign major cities are not so frequent in Rome. For this reason you will not find an out-and-out central station. Almost all the long distance buses end their journeys outside underground stations, among which the main ones are Tiburtina and EUR Fermi, both on the B line of the metro. If you drive from Northern Italy on the motorway A1/E35, leave it toward “Roma Centro, Grande Raccordo Anulare, Aeroporti, E80, A12, Civitavecchia, Roma Nord, Rieti“. Arriving from the South on the same motorway A1/E45, leave at “Roma Centro, Grande Raccordo Anulare, Aeroporti, E80, A12, Civitavecchia, Roma Sud, Cesareo” tollgate. In both of the cases you will find yourself at the “Grande Raccordo Anulare“, major beltway linking the motorways and state roads leading to Rome. Exit SS8 Via del Mare toward the city center. After the sign “Rome” (around 18km from the Grande Raccordo Anulare) and a roundabout, go under a bridge (around 50mt after the sign) and turn left right away joining via Guglielmo Marconi westbound. Keep going for 1Km. At the 1st traffic light turn left (Via Salvatore Pincherle) and you will easily reach the venue (Via Vito Volterra 60) and the Faculty free parking (Via della Vasca Navale 109). This is the route: Grande Raccordo Anulare (G.R.A.) → Venue. it Taxi mobile app (iOS, Android) let you hail a taxi based on your location. 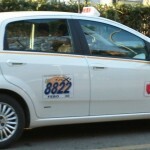 Official cabs are white, have a taxi sign mounted on the roof, have an insignia on the driver’s door reading“Comune di Roma,” have an official number and a meter. You want an official cab. Do not use the touts at Termini Station or Airports. Some taxi drivers prefer to use taxi stands. You can flag a taxi down, but it is a rarer occurrence than in most cities. Romans know they’ll find a taxi stand in all the major piazze. There will be a fixed starting charge, which will be more for late nights, Sundays and holidays. There will also be a charge for each bag that the cabbie handles. The Rome Metro Underground Train system has two lines named A (or orange line) and B (or blue line). The lines intersect at Rome Termini Station (Stazione Termini), the main public transport hub in Rome. A new Line C is in the process of being built. There are stations next to the Colosseum/Roman Forum and Spanish Steps and within 5 minutes walk of the Vatican. It also helps that the centre of Rome where visitors go is compact and pleasantly walkable. Trains run approximately every 4-10 minutes, from 5:30am until 11:30pm every day (until 12:30am on Saturdays). Over 20 night bus lines run from 00:30am to 5:30am. The main terminal stations are Termini (Piazza dei Cinquecento) and Piazza Venezia. From these two piazzas buses leave for all directions every 30 minutes. Night bus stops are marked with an owl. B.I.T. Standard 1.50€, valid for one Metro ride or 100 minutes on all buses from the first obliteration. B.I.G. Daily 6€, valid for unlimited metro, bus, and train travel within Rome 24 hours from the first obliteration. B.T.I. 3-day tourist €16.50, valid till 23:59 of the third day since the day of the first obliteration. C.I.S. Weekly ticket €24.00, valid till 23:59 of the third day since the day of the first obliteration. Usually a valid cellular phone number is required during the free registration. Several trams are equipped with free onboard Wi-Fi. Average termperatures in June are 27-15 °C (81-59 °F) with less than 8 days of rainfall (34mm) and 13 hours of daily sunshine.